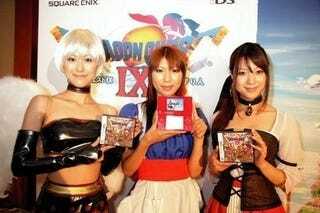 The title says it all: Square Enix has shipped over 3.5 million copies of DS role-playing game Dragon Quest IX in Japan. Going on sale July 14th, the game is the latest entry in the Dragon Quest series and was developed by Fukuoka-based studio Level-5. As of August 2nd, 3.39 million copies of the game have been sold in The Land of the Rising Sun. A Western release date for the title has not yet been announced.